Pandawa Beach – Bali Island is a dream destination for many tourists. The nature beauty of Bali made it popular among the travelers. For example the Pandawa Beach Bali. This beach is the favorite of the tourist. It is because the beauty and also the cleanliness. So this site has many things to offer as a tourist destination. How Does Pandawa Beach Looks? For those who never been to Pandawa Beach, let’s pack your bag and come to Bali. Exciting holiday is a guarantee if you are travelling to Pandawa Beach Bali. This beach is located at Kutuh Village, Kuta Selatan District, Badung Regency. This beach is very suitable as family holiday destination. It is because the popular wide white sand area and wonderful views of blue ocean water. For any tourists that visit this site, they must be experienced nice and calm atmosphere of this beach even though it is quite busy. It is because the wind blows and all the exciting activities that available there. Most of the times when people visiting beach area, they are just enjoy the view, playing with sands, and taking some pictures. But it is different with Pandawa Beach Bali. This beach has several unique activities that no beach around here has. 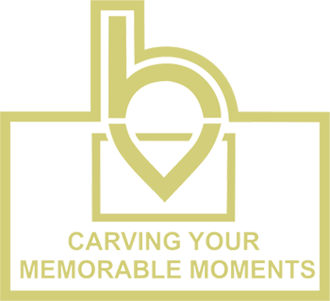 Do you want to know the exciting actitivities at Pandawa? Limestone hill is welcoming us once we arrive in Pandawa Beach area. So before we are going straight to the beach, the visitors will be presented the statue of 5 Pandawas Knight. The 5 Pandawas Brother are Yudistira, Bima, Arjuna, Nakula, and Sahadewa. Beside those 5, we also will find Kunti Goddes statue which is the mother of 5 Pandawas. All the statues are in white color and they are about 5 meters high. So the first activities we will have is taking pictures with the Pandawas Knight and their Mother statue. After we arrived at the beach area, we will not have any doubt that this beach is really beautiful. White sands, clear blue sea water, and relatively calm waves just attract the tourist to swim in the ocean. For those who would like to relax, there are several beach chairs with wide umbrella on it for you. In this Pandawa beach Bali, you are not only can swim in the water. You may also do exciting canoeing activity around the beach area. The canoe rent also relatively cheap. With canoe, you may go around the beach area while watching for the beautiful views of the beach. You do not need to worry about the safety because you will be equipped with safety jacket. This is the activity you must try if you love Bali Adventure Activities. Surfing is the Bali Water Sports activity that pumps up your adrenaline. This activity is very suitable to do on the beach that located around Southern Part of Bali especially Uluwatu area. In Pandawa beach Bali, there is a special water area that has consistent high waves. So this area is suitable to do surfing activity. If you are a beginner for surfing, you may also find some surf coach around Uluwatu area. For the visitors that visit Pandawa Beach Bali but only want to have relaxation while enjoying the beautiful beach, you may love to try local massage. There are several local people offering you local Balinese massage around the beach area and the price also cheap. So it is a good opportunities to enjoy the beach and having relaxation massage at the same time. So how do you think so far? This beach is wonderful and full of activities isn’t? Tourism in Pandawa Beach has many uniqueness and exciting activities. 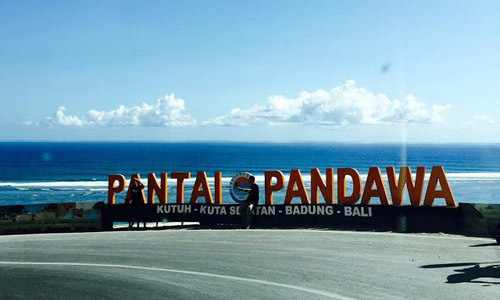 So if you are on Bali Vacation, do not forget to stop by at Pandawa Beach Bali.